AirTouch will maximise your air conditioner’s potential in your home, providing more comfort and energy savings. AirTouch 3 features superior temperature monitoring, a user friendly touch screen interface, and better airflow management than ever before. 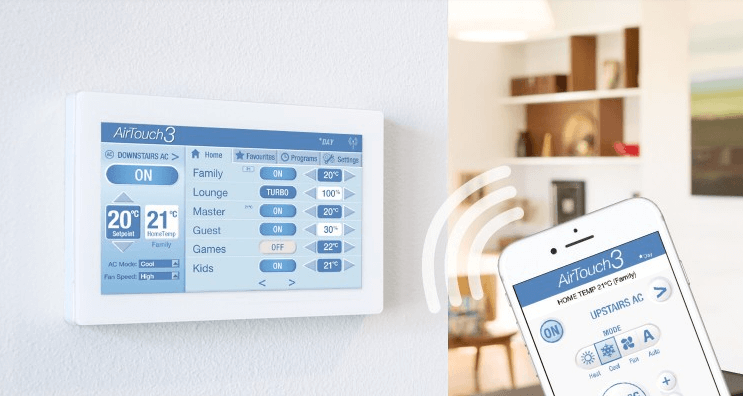 AirTouch 3 was created to allow you to control up to 16 zones from one or two AC units in your home. As you’ll only need to heat or cool the rooms you are using, you’ll experience enhanced comfort, convenience, and energy savings with your air conditioner.